Why use theatre in business & organisational development? behaviour and social interaction. As such it can provide a vivid analogue through which to reflect upon and inquire into many aspects of business and organisational life and to develop new ideas and improved ways of working. 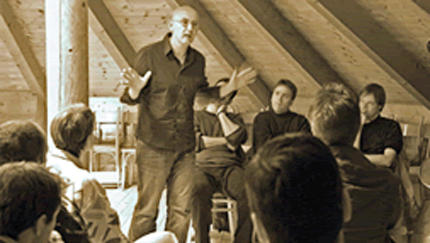 Chris Stagg Associates offers the skills of a professional script writer, director, facilitators and actors with years of combined business and organisational experience. Short entertaining scenes designed to illuminate the training themes, provoke thought and generate discussion. A Catalyst Scene would normally be deployed at the beginning of a training day or section of work in order to focus minds on the subject and issues to be explored. This is at the core of our approach: Tightly scripted dramatic scenes authentically rooted in organisational reality which delegates watch, then discuss, then re-direct and/or participate in. The great benefit of forum theatre is that it allows training participants to try out ideas, develop strategies and model approaches using the skills of professional theatre practitioners in the safe environment of the training room. 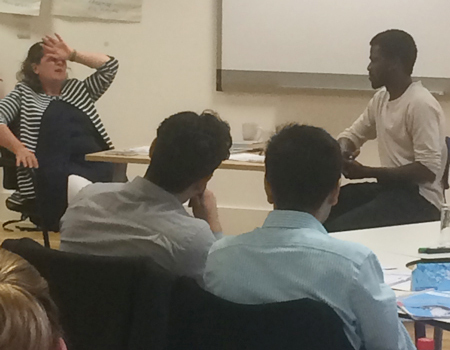 Role-plays can be either pre-written or developed with participants during the training session. 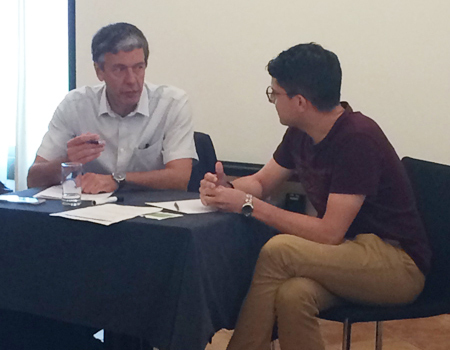 Role-play allows delegates to work with a professional actor and receive facilitated feedback in order to develop personal skills, strategies and confidence. The great advantage of using professional actors is that delegates need only focus on their own behaviour and approach while receiving expert input that models the behaviours, attitudes and strategies that they encounter in the business and organisational world. NB: Role-play can also be very usefully applied as part of the recruitment/promotion process. Professional theatre is a great way of enlivening conferences. The use of dramatic/comic scenes, theatre-based simulations and actors in role interacting with delegates can be a highly effective means of engaging interest and communicating conference themes.